On Monday, February 5th, 2018, Woolworth on 5th opened its doors to Downtown Nashville. We have been incredibly fortunate to do the design and print work for other local offerings from Tomkats Hospitality over the years, including ACME Feed & Seed, The Southern Steak & Oyster, and Fin & Pearl. These are pretty massive projects, including merchandise, menus, labels for the custom house sauces on the tables, flyers for events, and even mural design. Woolworth has been interesting to design for, mostly because of the amount of history in that building. It was first opened in 1930 as F.W. Woolworth. The location was a site of one of the first “sit-ins” organized by local college students during the Civil Rights movement in 1960. 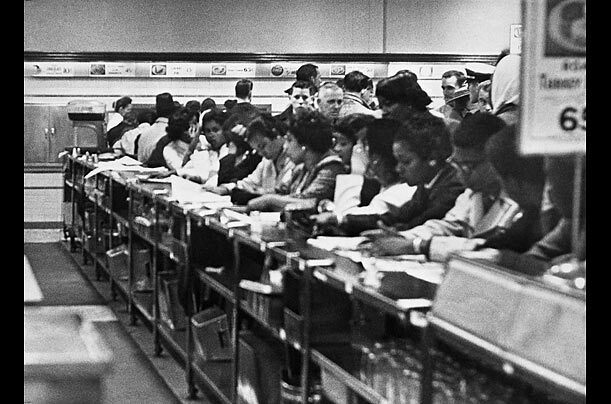 This sit-in movement successfully desegregated Nashville lunch counters months later, after considerable effort and persistence. Now in 2018, Woolworth will serve as a dining and live music venue open to all. They’ll even have spoken-word poetry nights, throwing it back to the ‘50s, complete with cultural exploration and historical performances. The architecture and restoration primarily takes its cues from the Art Deco period of the 1930s, when the building was originally built. We wanted to integrate the architecture style into the merch design, by drawing on some of the art styles from back then. Flapper girls, Art Deco geometric cubism designs, and milkshake counters all make an appearance. The garments are primarily Comfort Colors pigment dyed, heavier weight options to give it that vintage vibe. Ivory is a featured color, again as an homage to the era. 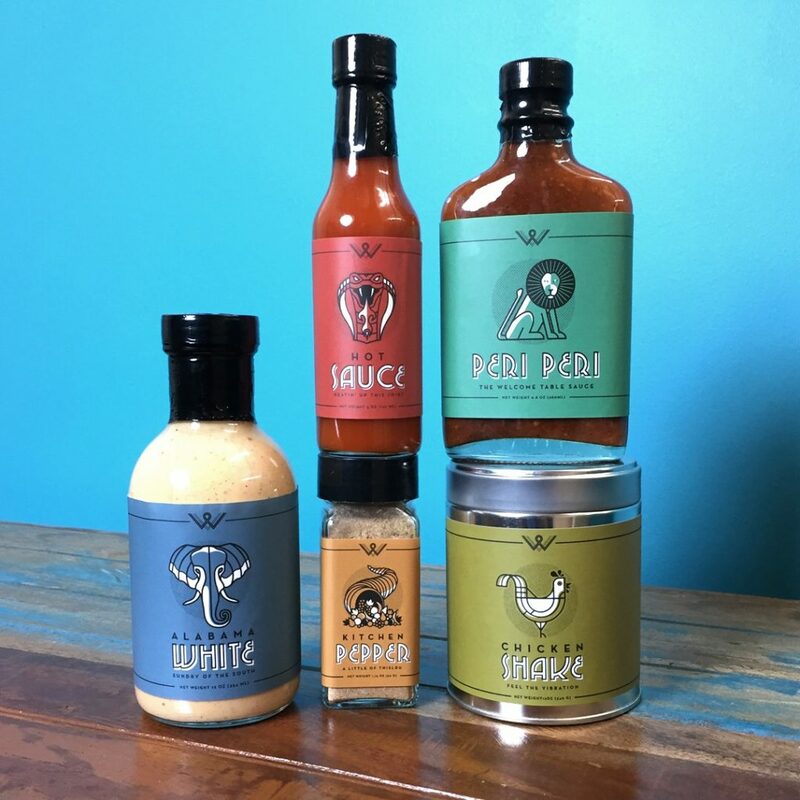 Two-color icons serve as the sauce labels, with classic all-caps art deco fonts. Go get you a milkshake (alcoholic or nonalcoholic) and enjoy some cultural cuisine, and while you’re at it, make sure to grab a tee! Designed and printed here in East Nashville with only the finest water-based inks, you won’t be disappointed!